One of the things I love most about sharing this program with you is that I am constantly suprised. 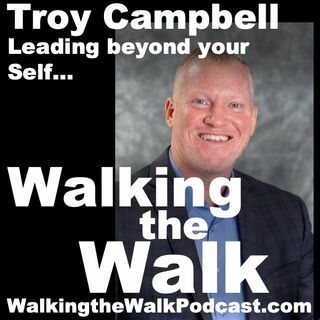 I had some specific questions planned for Troy Campbell, but he took our conversation to a higher plane. Troy Campbell is the CEO of Altoona First Savings Bank and Chair of the Pennsylvania Association of Community Bankers. My original plan was to focus on the challenges facing community bankers today including regulation, technology and keeping people engaged with a sense of purpose in what ... See More can be a highly transactional job. In this episode Troy shares his insights on leading with purpose and the importance of leading to make a genuine impact on the lives of the people he serves––for the long term. FREE ebook edition of THE SENSEI LEADER when you join!